We provide safe, reliable and innovative solutions. We are the experts in the industry, offering the best maintenance solutions. Wind Turbine Maintenance and Installation Service’s. G&S abseiling - at the TOP! Need an old sign removed? Or a new one installed, or maybe both? With rope access we'll exceed your expectations. G&S Abseiling is a QLD based industrial rope access company that offers professional and reliable difficult access solutions. We provide a range of services to maintain and improve all types of buildings. From high rise commercial properties to single story residential homes and everything in between, we can help. We can provide once-off services as well as regular maintenance (annual, bi-annual, quarterly, monthly). Our range of access methods include abseiling, Building Maintenance Units (BMU), elevated platform, and high wash water fed pole systems. We provide high quality cleaning services from window cleaning, solar panel cleaning to pressure cleaning and building wash down, Painting , Signs Removal & Installation and height safety systems. Our experienced team provides an on time, on budget and efficient solution to your cleaning and maintenance needs. Highly experienced team is committed to providing an excellent standard of work at competitive rates. Call or email for a free quote. Safety is a number one priority in our company. We make sure all staff is fully trained and capable to perform the task as efficiently as possible in a safe manner. We are not just a rope access company, whatever the job is, we will use innovative, but mostly safe techniques to find a solution and a way to gain access. We perceive ourselves as reliable and are efficient in performing our services and communicating. Our business is running 24/7 and we guarantee to be on time. G&S Abseiling is a Brisbane based industrial rope access company that offers professional and reliable difficult access solutions. 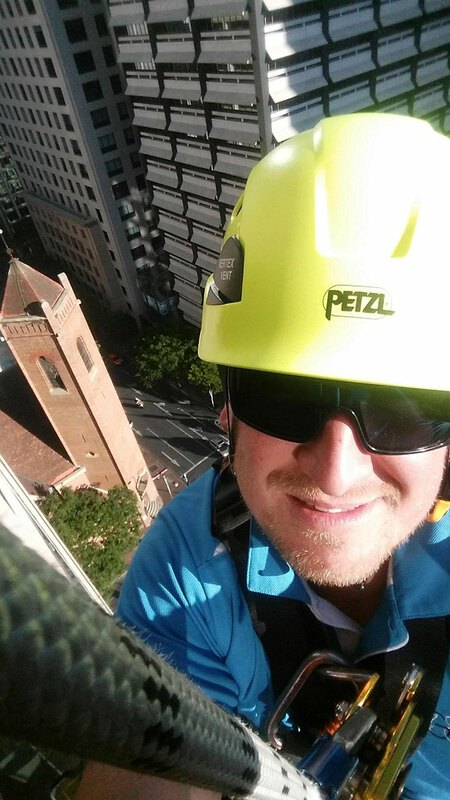 G&S Abseiling is based in Brisbane and we service all across Australia.